Figure 1: EL/L-8300 SIGnals INTelligence System as covering the 0.03 to 40 GHz frequency range. ELectronic INTelligence primarily dedicated to the interception and analysis of radar emissions from surveillance, fire-control or missile guidance radars, and is often allied to an ECM system to provide protection from these. COMmunications INTelligence, as its name implies, is intended for the interception of communications, whether by voice or datalink. The combination of ELINT and COMINT work is known as SIGnals INTelligence (SIGINT). For platform protection ELINT is vital, in that it provides not only direction-finding but also analysis of the incoming signals to provide immediate warning of threat radars, including surveillance, fire control, targeting and missile guidance systems. Signals from radar systems are intercepted by a warning receiver and are analysed by an associated processor to give a wide range of parameters, including direction, type of radar, frequency, frequency agility, Pulse Repetition Frequency (PRF), and PRF type. These parameters are usually sufficient to characterise the type of emitter, and complete identification is then carried out by comparing the analysed signal with parameters of hostile and friendly emitter characteristics stored in a library within the computer memory. Analysis of the signals and warning of a threat is virtually instantaneous and enables countermeasures of jamming and/or decoys to be initiated. For aircraft, ships and armoured fighting vehicles effective warning systems are essential for survival in the electromagnetic threat environment of the modern battlefield. The warning receivers mentioned in the previous paragraph are being continuously updated to cope with the latest threats. These receivers are normally either crystal video or superheterodyne-based equipments, both of which have their own advantages. Crystal video receivers, either narrowband or wideband, can operate over a frequency range from 0.5 to 40 GHz, covering all radar transmissions except those in the 94/95 GHz millimetric waveband. They are effective against pulsed, frequency-agile, PRI-agile, spread spectrum and continuous-wave transmitters. Superheterodyne receivers are more expensive but provide a coverage from 0.01 to 40 GHz with a high level of sensitivity, plus long pick-up ranges and sidelobe penetration. COMINT provides both interception, direction-finding and analysis of hostile transmissions, primarily to assess the movements and intentions of the opposing forces. 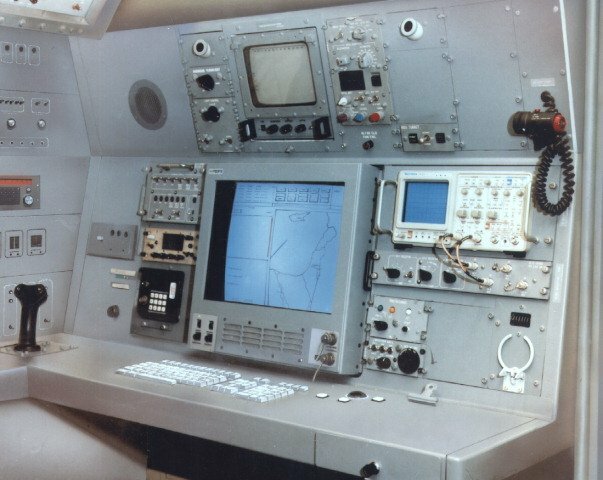 Analysis of the signals provides much valuable information of the intentions for command and control purposes, and the most recent systems provide the operator with the ability to detect and analyse unusual and complex signals as well as the normal interception and DF facilities. The receiving equipment is frequently allied to a computer-based processing and display system so that automatic position fixing in the land-based role can be carried out by the use of remote-controlled DF stations. Spectra and/or time waveforms are normally provided, together with alphanumeric readouts which include type of transmission, frequency, modulation and other signal parameters. These parameters are used to determine the types of communication and radar systems in use, whether they are mobile or static, the direction of any movement, and so on. 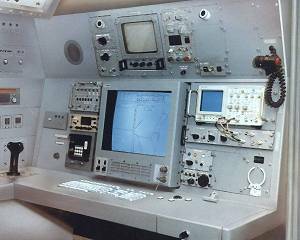 Multisignal detection and analysis is provided in nearly all equipments, and a map display overprinted with the intercepted information can be incorporated to give the battlefield commander an overall picture of both the tactical and the electromagnetic situation.